[toc]A person is said to be having Chapped lips, when his/her lips become extremely dry leading to the skin becoming cracked and fissured. This condition the lips mostly occurs in winter and causes the skin to lose moisture and become tight, causing it to split. Chapped lips are mostly caused due to exposure to extreme cold or heat, wind, constant licking of the lips, certain medicines, breathing through the mouth etc. People suffering from chapped lips often experience dryness of the lips, cracks, sores, blisters, flaking of the skin, swelling and sometimes even bleeding. People of all ages and sexes can be affected by chapped lips, however, it is most commonly observed in people having dry skin, suffering from dehydration, malnutrition, taking medicines containing vitamin A, lithium, undergoing chemotherapy etc. Chapped lips can be easily treated at home by keeping the lips hydrated and moist by using lip balms, consuming more water, avoiding cold weather etc. However, if the chapped lips do not heal within a week or so, medical attention must be sought. Below mentioned are some effective herbal remedies for treating chapped lips. Calendula also popularly called as Marigold, is a magical herbal remedy for getting rid of those dry and chapped lips. This herb is very good for healing the cracked skin of the lips and reduce redness associated with chapped lips. Calendula also helps in providing relief from pain, blisters and swelling, which are some of the common symptoms of chapped lips. Calendula herbal salve, made using flowers helps in instantly soothing the cracked and chapped lips condition. 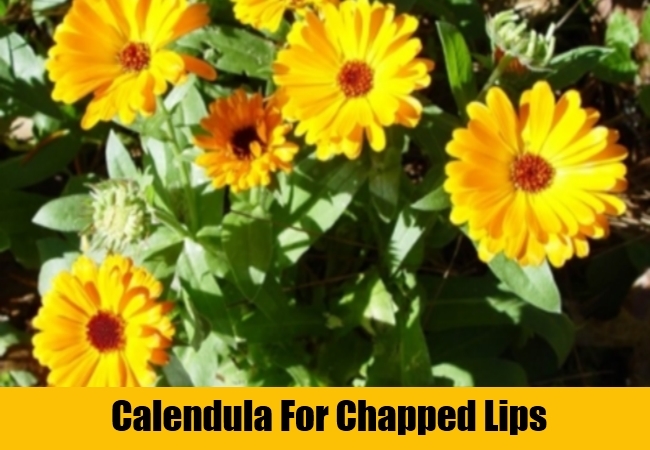 The chapped skin of the lips can also be washed with Calendula skin wash to get relief from skin irritation and itching. 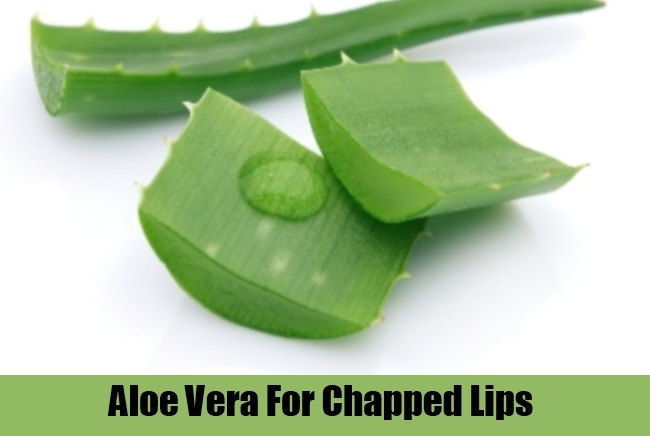 Herbs rich in astringent properties are very helpful for curing the chapped lips, hence, making Aloe Vera invaluable. Aloe Vera not only helps in reducing the painful red condition of the lips, but also prevents it from bacterial infections. This herb helps in regeneration of the damaged skin and provides a soothing effect to the chapped lips. Due to its properties of healing and reducing pain, Aloe Vera is one of the most widely used herbs for making various creams, lotions, ointments etc., for chapped lips. The fresh gel obtained from squeezing the Aloe Vera leaves can also be applied directly on the chapped and cracked skin of the lips to provide immediate relief from the painful condition. Chamomile herbal remedies are very popular and sought after in treating skin irritation problems caused due to rashes, blisters, burns, cuts, cracked and chapped lips etc. Chamomile flowers and oil when applied on the chapped lips, promotes not only regeneration of new skin tissues of the lips, but also protects them from being infected by bacteria. 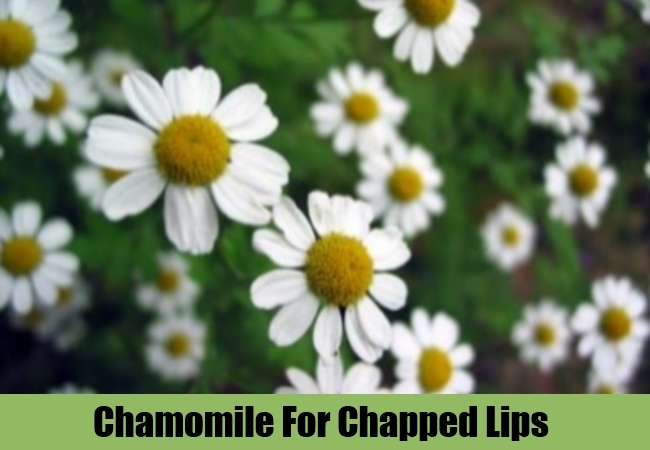 Due to the anti-inflammatory and analgesic property of Chamomile, it is very effective in reducing the burning painful sensation related to chapped lips. The oil of Chamomile can be gently rubbed on the chapped lips to provide relief and promote healing. The chapped skin of the lips can also be washed with chamomile tea in form of infusion to soften the cracked skin. Castor oil though very vile in taste, is very effective when used both internally and externally for various ailments like constipation, cracked skin, arthritis pain, chapped lips etc. The seeds of Castor are crushed to obtain the oil rich in medicinal properties. 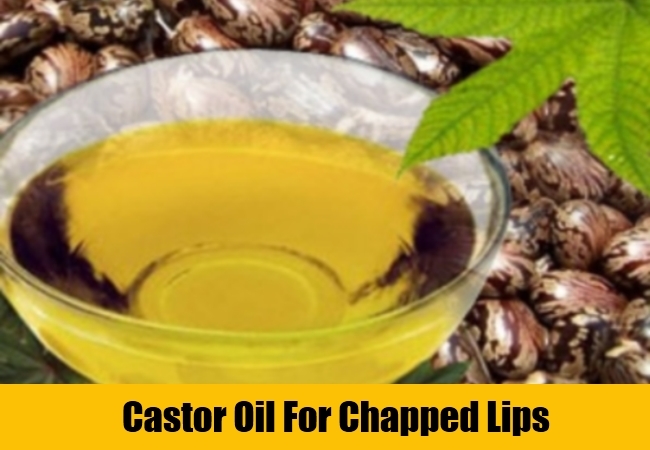 Castor oil when applied on the chapped lips, form a protective covering on the skin and prevents it from getting further irritated and infected. The Castor oil is also very effective in promoting skin healing and provides relief from the burning throbbing pain, commonly associated with chapped lips condition. Coconut oil is one of the most effective herbal remedies used since centuries to increase in suppleness and smoothness of the skin. 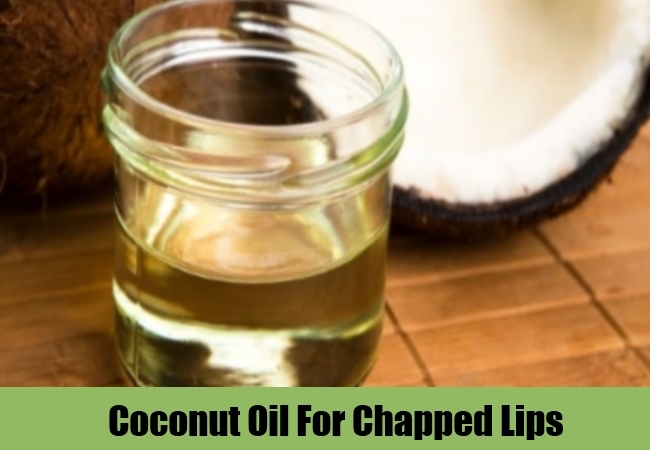 Coconut oil is a magical herbal remedy for treating chapped lips in a very short duration. The oil of Coconut when applied to the chapped skin of the lips, form a protective covering on the skin. This helps in trapping the moisture inside the skin tissues and reduces its dryness. It also helps in regenerating new skin cells, fighting against infections and makes the skin more elastic and supple. Coconut oil also helps in removing the old dead cells and makes the chapped skin of the lips softer and smoother. 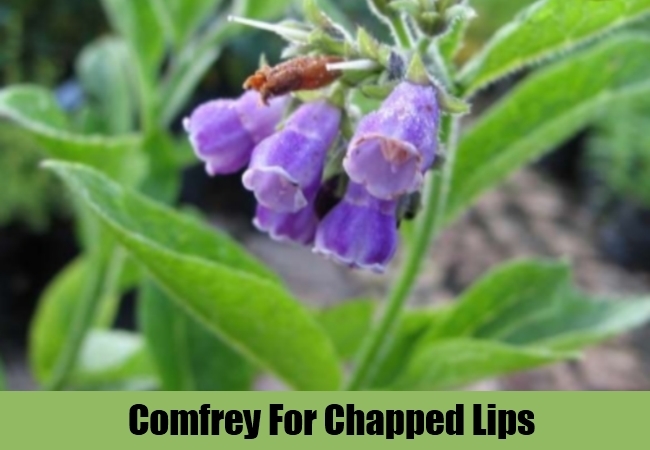 The problem of chapped lips can also be effectively reduced with the help of herb Comfrey. Comfrey contains high concentration of tannins, which help in promoting skin healing and new tissue regeneration by forming a protective covering on the chapped skin of the lips. This herb also helps in reducing the pain and burning sensation associated with chapped lips. Comfrey salves and creams are very effective in healing chapped lips. An infusion made using Comfrey root and leaves can be used to wash the cracked and dry skin of the lips to accelerate the healing process. Olive oil is one of the best herbal remedies used by people since ancient times to heal the skin and treat its infections. The oil of Olive is obtained from its bark, fruit and leaves. This oil when rubbed on the chapped skin, not only reduces skin irritation, but also promotes healing. Olive oil helps in getting rid of dead skin cells and makes the skin soft, strong and supple. 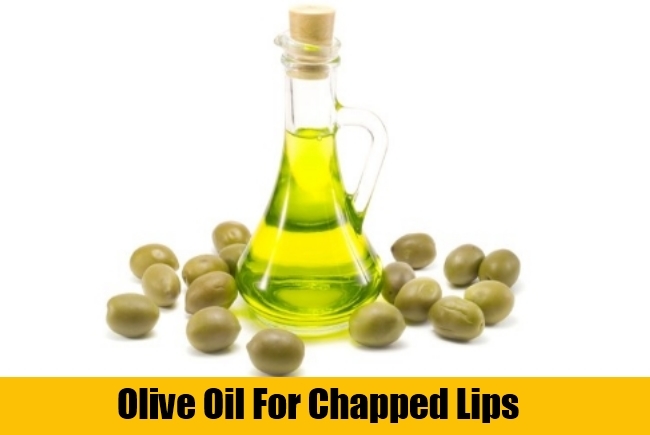 Olive oil is very healthy and can be applied directly on the chapped lips to promote their healing. The Olive oil is also used in making many creams, ointments and lotions for skin problem like dryness, cracking, itching etc. 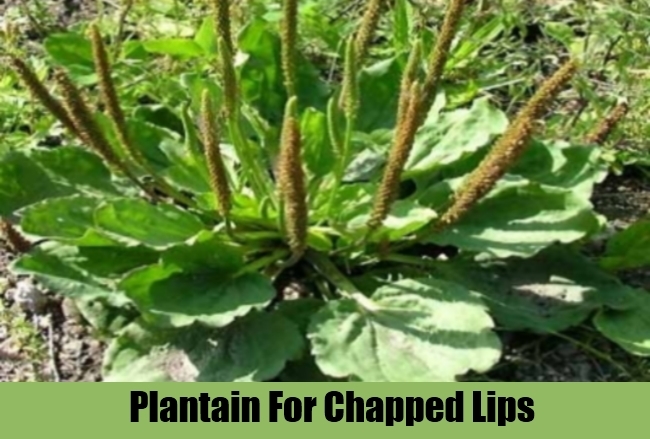 Plantain is yet another very beneficial herbal remedy for curing and healing chapped lips. Plantain is very effective in fighting against the bacteria responsible for causing skin infections and pus filled blisters. Plantain is rich in salicylic acid, tannins and allantoin, which helps in reducing the itching, burning sensation, throbbing pain, swelling and irritation of the skin of chapped lips. Plantain is best effective when used in form of fresh salves made using its leaves and applied on the chapped lips. 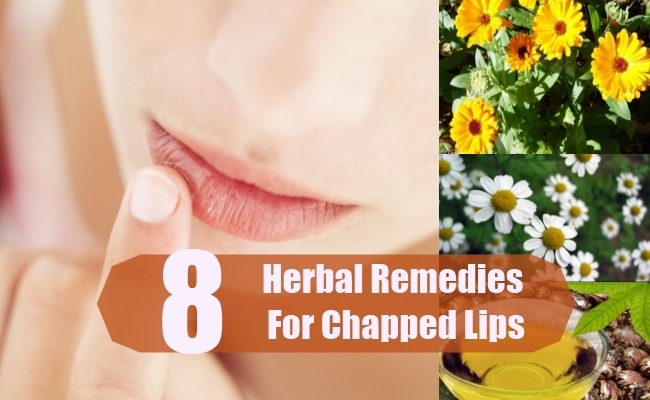 It can be mixed with Comfrey for speeding the healing of chapped lips.